Simei Green is situated near the Simei MRT Station and Eastpoint Shopping Mall. It is one of the first Executive Condominium in Singapore, which is restricted to lease or to sell in the first 5 years. Simei Green is easily accessible by the subway, buses and the East Coast Parkway (ECP), Pan Island Expressway (PIE). Markets, banks, food centres, shops, cinemas and the Changi Hospital are all located within short walking distance away. Enbloc potential! Located in a quiet, cosy and breezy residential area, away from main road. Near to Changi Airport and East Coast Park. Conveniently located between 2 MRT stations. Amenities such as restaurants, clinics, supermarkets are within walking distance. Property is cosy and breezy, located in quiet residential area, away from main road. 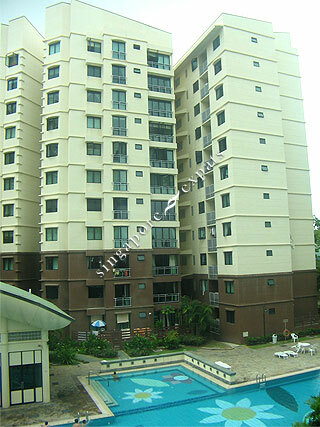 Simei Green is located in a quiet and cozy residential area. The estate is spacious and naturally breezy, surrounded by nature and lush greenery, extremely comfortable to live in. MRT station and amenities like eateries, supermarket, shopping mall and clinics etc are nearby. It is very close to East Coast Park, Siglap, Japanese School, Singapore Expo, Changi Business Park, Tampines mall etc. The units in Simei Green are spacious and breezy. Facilities include ample amount of parking spaces, huge swimming pool, newly refurbished children's playground, gym, tennis court and more! Suitable for family with children, young working adults, and those who preferred a quiet, comfortable and yet convenient living environment! ** view to appreciate this gem!! cool and quiet,big swimming pool and strict security,quite convenient for tenant who prefer peaceful and cosy environment living style and work neat changi business park and changi airport or singapore expo.